Arizona Day 4: Ahh, there’s the Sedona I’ve Heard About! 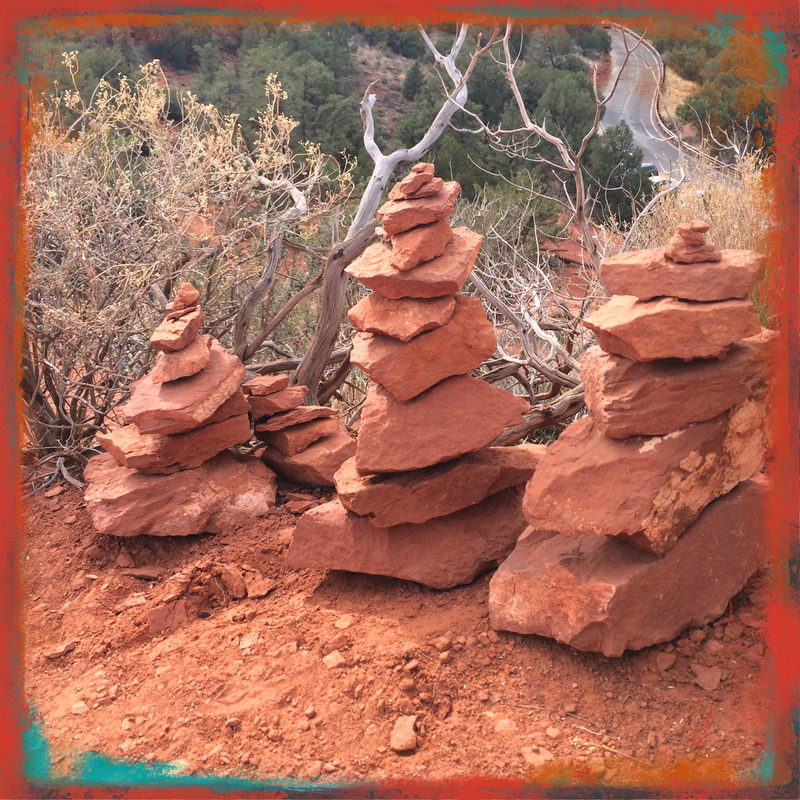 Sunday was our last full day in Sedona – so sad! However, we still did have a full day to enjoy. We decided to go on a short hike, because how can you go to Sedona and not hike on the red rocks? AND, the weather was still sunny and in the mid-70’s – so perfect (especially after having spent a few months in the cold, rainy, cloudy Pacific Northwest). 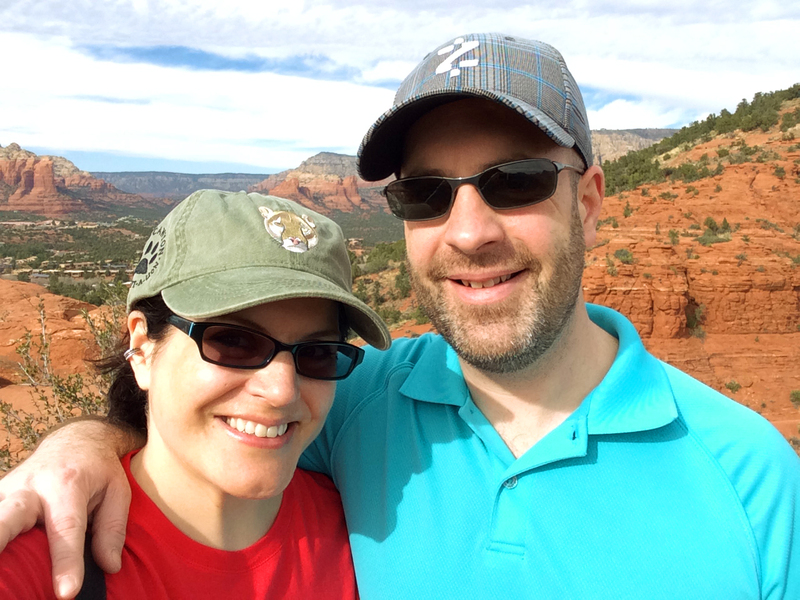 We ended up near the Sedona Airport, in the Brewer Trail / Coconino and Yavapai Loop area. We hiked up to a couple of vista points and greatly enjoyed the scenery! And…here we go. 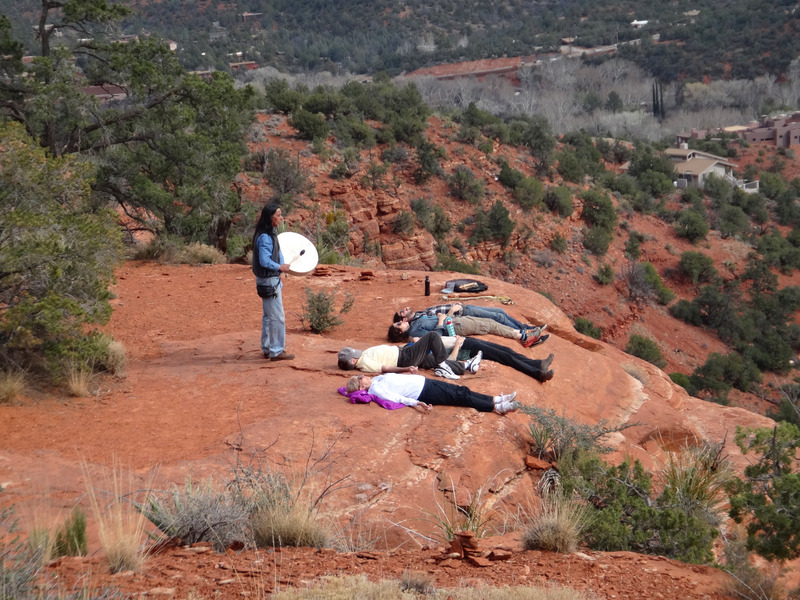 We rounded a curve in the trail and found a group of people meditating to the sounds of a Native American beating a drum. Rich white new-age people crack me up. We had such a great little vacation. It was a fantastic way to celebrate my birthday, and Valentine’s Day, and beat the Seasonal Affective Disorder blues. We’re back in Vancouver now, but I’ll always have a bazillion pictures to look at (even if they all look mostly the same!). Cha cha cha! Vancouver in February? Screw That! Hellooo Arizona! « My Reputation…Dare I Say It? Yes, In Haiku Form.